Long-term care is an umbrella term for facilities that provide care to patients or clients for more than a few months. Long-term care can be temporary, permanent, or even hospice, and the care can be for either medical or rehabilitation purposes. Long-term care can also refer to a residential setting with varying levels of assistance. The sizes of long-term care facilities vary according to their purpose, their clientele, and their location. There are some risks associated with living in a long-term care facility, and importantly, the possibility of an increased risk of infection, which could lead to sepsis. 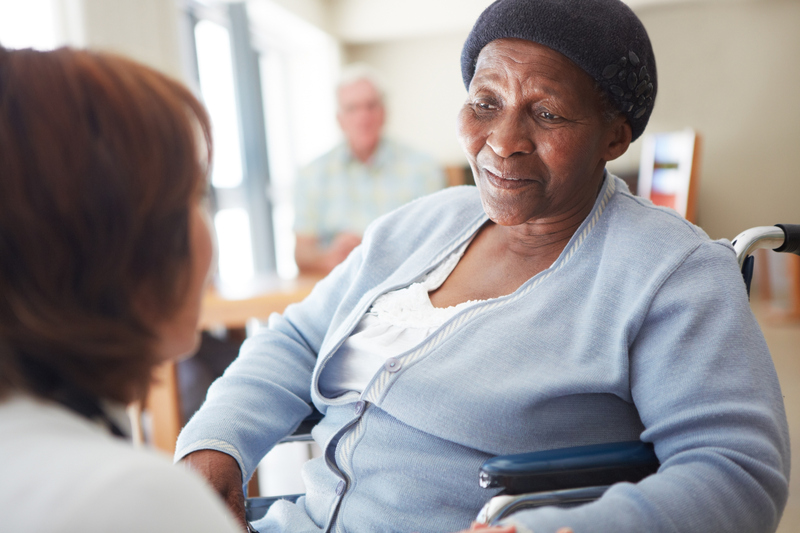 Living in a long-term care facility provides you with opportunities to interact with many people, from other residents and visitors to the facility employees. However, the more people who come and go, the more chances there are for certain types of illnesses to be brought into and spread throughout the facility. Infections developed within a hospital or long-term care facility are called healthcare-acquired infections, or HAIs. People who are in long-term care facilities may be at increased risk for infections because of the treatments they receive. They may have a long-term or indwelling urinary catheter, which can cause a urinary tract infection. Other chronic invasive devices, such as a ventilator tube, a port, or an IV site can also lead to infection. These devices introduce openings into the body which can allow germs to enter, causing an infection. Those residents with frail skin may develop scratches, skin tears, or other wounds, or pressure ulcers (bed sores), any of which may become infected. Wound infection, especially in a pressure ulcer, is one of the most common sources of infection among nursing home residents. People with difficulty swallowing could aspirate (inhale) food or drink, and this could cause aspiration pneumonia. There are several ways an infection could occur so vigilance is vital to both prevent infection when possible and to treat it early when it does occur. Washing hands when moving between patients or residents to provide care. Observing isolation protocols (gloves, gowns, and/or masks), when necessary. Cleaning rooms and objects as per facility’s protocol. Isolating patients or residents if they show signs of illness. Washing hands upon entering the facility and each time you return to the patient or resident. Reporting to the staff any signs of open wounds, infection, or illness the patient or resident may have. While sepsis can affect anyone, people who are older or who are already ill are at higher risk and are a vulnerable population. Infection prevention is the best way to reduce the risk of infections and sepsis.